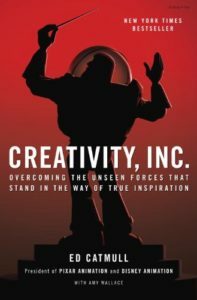 As part of the City of Chattanooga’s 2018 “Summer of Creators”, Mayor Andy Berke’s office will launch a book club -- Books With Berke -- that examines the themes of creativity, collaboration, and changing the world. You don’t need to be a genius, you just need to be yourself. That’s the message from Austin Kleon, a young writer and artist who knows that creativity is everywhere, creativity is for everyone. 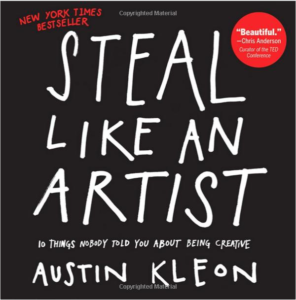 A manifesto for the digital age, Steal Like an Artist is a guide whose positive message, graphic look and illustrations, exercises, and examples will put readers directly in touch with their artistic side. 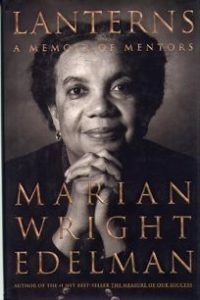 Throughout her life and work, Marian Wright Edelman has been at the heart of this century's most dramatic civil rights and child advocacy struggles. In this stirring, heartfelt memoir she pays tribute to the extraordinary mentors who helped light her way including Martin Luther King, Jr., Robert F. Kennedy, Fannie Lou Hamer, and William Slaone Coffin. She celebrates the lives of her parents and the great Black Women of Bennetsville, South Carolina- Miz Tee, Miz Lucy, Miz Kate-who gave her love and guidance in her youth, as well as the many teachers and figures who inspired her education at Spelman College and empowered her early as an activist in the 1960's. Copies of each book are available from the Chattanooga Public Library, and may also be purchased from the Barnes & Noble at Hamilton Place or Star Line Books on the Southside. The public is invited to join Mayor Berke for a public discussion of each book at Books With Berke meetings at the downtown branch of the Chattanooga Public Library. Please save these dates!